Our 10 steps for Homeschooling curriculum guides has never been easier to understand. If you're new to homeschooling, using our 10 homeschooling curriculum guidlines can be a great way to find the perfect fit of homeschooling curriculum for your child and family. Because curriculum is simply a course of study, finding the best homeschool curriculum-one to suite your family-can be challenging, but NOT impossible! 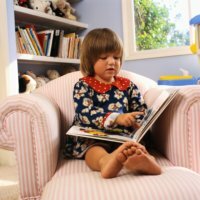 How do I Pick The Best Homeschooling Curriculum for My Family? Use Our Homeschooling Curriculum Guides!! 1. How large is your family? Do you have multiple children with large age spans? A large family obviously has more people to teach, more mouths to feed, less time for each individual child. When considering a curriculum, a full curriculum package is nice, yet can be a little more expensive. On the other hand, unit studies are great for multiple children, but can be time consuming. By reading reviews about what other families have thought about a particular curriculum, it will help you to decide what works best for your family. 2. Are you the primary teacher? Is your husband able to teach a couple classes? A friend of mine has her husband teaching all the Bible and Science, which frees up her time for other subjects and gives her more time for household chores as well. Or is there a Co-op of parents that will share teaching different classes. One of the churches near us had many homeschool parents. They decided to get together for some of the Homeschool High School classes and share expertise on certain subjects. This eased some of the stress on the higher education classes. 3. Will you supplement with DVD, CD-Rom, or on-line classes? With more and more homeschoolers connected to the Internet, on line schooling has become a big player in curriculum. With just a computer and access to high speed...you can have school. 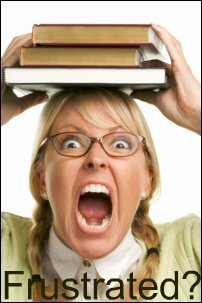 DVD and CD-Rom classes can be a BIG plus from those of us who can not remember any Algebra or Geometry! :) Teaching Textbooks Math, which is an excellent CD-Rom curriculm, instructs all my highschoolers in upper math. This takes a huge burden off of me and leaves more time for other subjects. 4. Do you have a special needs child? Or a child with an illness? One of the reasons why I started homeschooling is because I had a child with a special medical problem. I was able to meet her special physical needs and school her at the same time. As I continued to homeschool her, I realized how much I enjoyed homeschooling the rest of my children as well. 5. How much time can you put in? YES!! The word time! :) It does take time and effort to teach children...Now days there are so many different curriculum choices to pick from, DVD, on-line, Units, i-Pad, computer, books...each one can be picked based on YOUR time. Another good idea is have a homeschool schedule that you can follow as a family to help keep everyone on track and focused. Homeschooling can take anywhere from 2-6 hours depending on the age and level of the child in school. 6. How does your child learn best? Several important homeschooling curriculum guides are finding a method that accommodates your child's learning style. Kin-esthetic - Rather than listening to someone talk or just watching a demonstration, the student actually carries out a physical activity. They are also commonly known as doers. Visual learners - These students learn through seeing. Drawing pictures help the student visualize the information...Graphs, maps, and images are all helpful in retaining information. Auditory learners -This student learns through listening. By hearing and speaking, an auditory learner will say the information out loud and then remember how it sounded to recall it...Reading assignments out loud helps these children learn. 7. What kind of budget do you have set up? 8. What do other parents say about the curriculum you are choosing? This is probably the most important homeschooling curriculum guides. Only I could decide what would be the best homeschooling curriculum to suit my family. Who knows the curriculum the best? The parents who tried it!! That is why I chose to read a lot of curriculum reviews. How about you? Think about the elements that are important to you as you decide. 9. What subjects do I need to teach? 10. What grades do I to teach those subjects? What grades do I to teach those subjects? Kindergarten: Bible, History, Science, Language Arts (Grammar/Reading), Health and Safety, and Math. Elementary (Grades 1-5): Bible, History, Science, Language Arts (Reading/Grammer), Health and Safety, and Math. Junior High School (Grades 6-8): Bible, History, Science (Earth Science, Life Science), Language Arts (Grammar/Reading), Health and Safety, and Math. High School (Grades 9-12): Bible, History, Science (Biology,Chemistry,Physical Science), Language Arts (Grammar/Literature, and Math (Algebra, Trigonometry, Calculus. With careful planning and looking at our homeschooling curriculum guides...you may be a little closer to choosing the best curriculum for your family! Read these homeschool curriculum reviews written by parents just like you! !